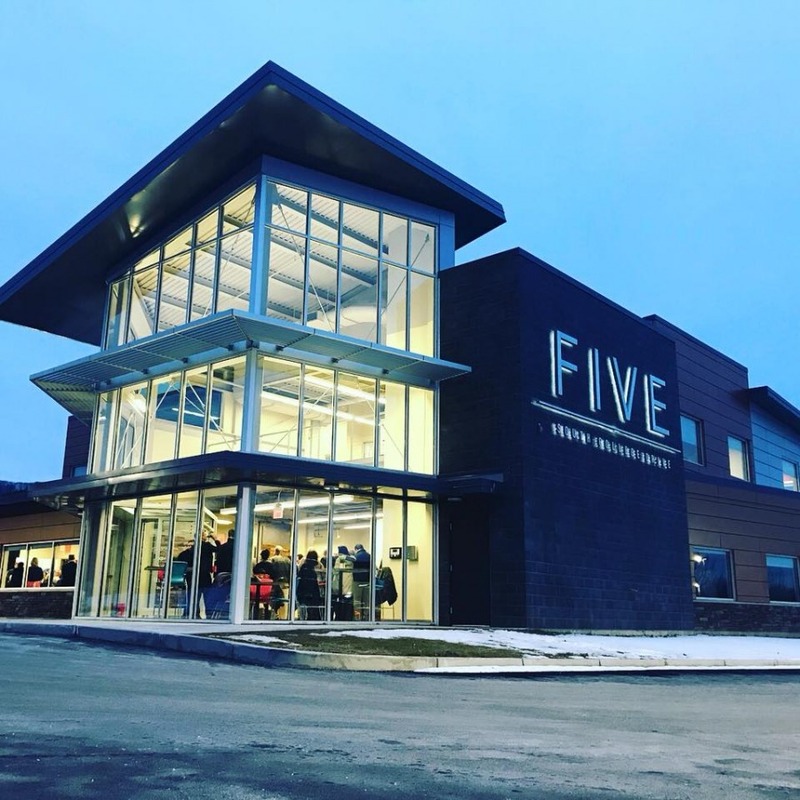 DICKINSON, NY – The Agency hosted the official grand opening of FIVE South College Drive, a newly constructed economic and business development center in the Town of Dickinson. The Agency was joined by state and local officials and other building tenants including the Alliance for Manufacturing and Technology, the Greater Binghamton Chamber of Commerce, the National Development Council, the New York Business Development Corporation and Visions Federal Credit Union. FIVE South College Drive, which is located on the south end of the SUNY Broome Community College campus is the first building to be constructed in Broome County for the purpose of co-locating business and economic development organizations. This project is fully funded through a $4,350,000 New York Economic Development Assistance Program grant secured by the late Senator Tom Libous. A dedication to the late senator was made at the event, in the naming of the Senator Thomas W. Libous Community Room, a shared meeting space on the building’s first floor. Nick Libous, son of Fran and Tom Libous attended the event on behalf of the family. The Agency, which is the owner and anchor tenant of the building moved to the building last September with other tenants following shortly after. Discussion on a “one-stop” facility is not new to Broome County and in the past, there have been many attempts to create a single location for economic and business development in Broome County, but none have gone so far as to construct a brick and mortar facility. "Today's grand opening represents years of work by many in this community to coalesce our economic development professionals and resources, said Terry Kane, The Agency's Board Chair. "Together we can accomplish so much more and in a much more efficient manner. The Board looks forward to the many successes that will result." Senator Fred Akshar said, "My predecessor, Senator Tom Libous secured funding for this facility because he knew that co-locating our community's economic development drivers under the same roof would make it easier for our local businesses to find the help they need to be successful while opening doors for those looking to start their own new business here in the Southern Tier. It's great to see his vision come to fruition and I wish The Agency, their partners and the local businesses they help grow nothing but success." “This one stop shop is intended to foster collaboration among the agencies, making it convenient and accessible for all new and existing businesses. This approach is long overdue and I wish them all the best in their new location,” stated Assemblywoman Donna Lupardo. FIVE South College Drive is a two-story building with a total of 17,500 square feet. The building was designed by Delta Engineers and constructed by Fahs Construction Group.